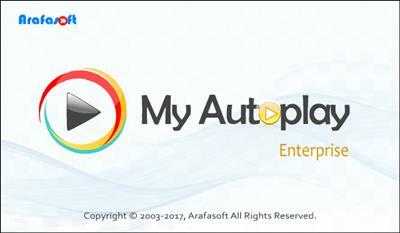 Arafasoft My Autoplay Enterprise - is one of the most popular and easy tools to create professional autorun menus, interactive presentations, multimedia applications and custom software in just minutes with no programming experience. Use your favorite content such as images, videos, music, Flash, text, buttons, hyperlinks, and much more! The menu that appears when you insert your CD / DVD disc into the drive, lets you launch applications, open documents, play movies, open websites, send emails, work with audio files, and much more.